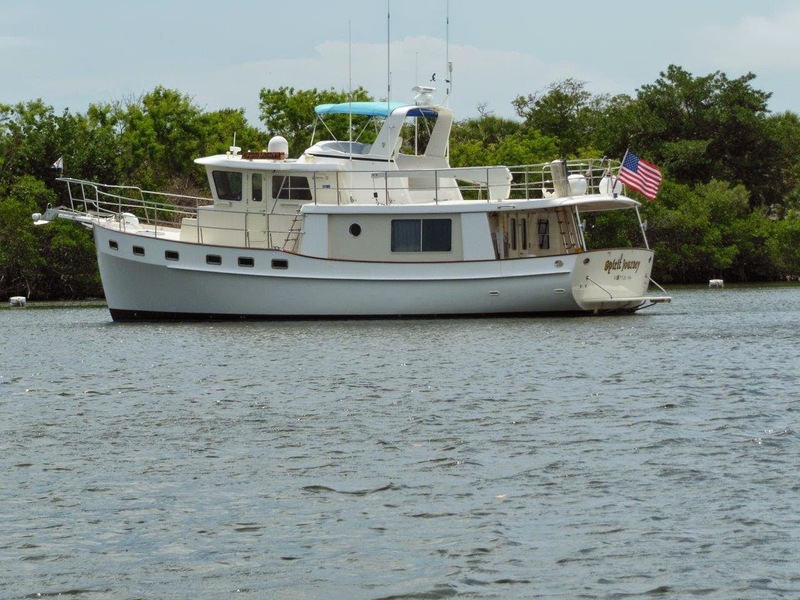 We departed beautiful St. Augustine early on Memorial Day, May 27, with the intent of being off the water at a marina in Jacksonville before the holiday traffic became heavy later in the day. Our travel up the river from St Augustine was smooth and uneventful and we were able to get into our marina before noon. Saw some lovely homes along the way. We did encounter some traffic late in the morning but local law enforcement was quite busy keeping everyone under control. We heard later that 3 young folks died and one was seriously injured in a boating accident very near our anchorage in St Augustine the evening before (we wondered what all the Coast Guard helicopters were doing that evening…). We docked at the Palm Cover Marina. After lunch we washed the boat, almost finishing before we were visited by our friends Julie and Jim Ford. (The Fords own two Woodcraft stores, one in New Hampshire and one in Jacksonville; we had traveled with them previously for a quick week in Italy a few years ago.) It was great to see Julie and Jim again and we enjoyed docktails on the fly bridge before joining them for a wonderful dinner at one of their local favorite haunts. We enjoyed catching up on children, grandchildren and of course, the news of the Woodcraft stores. The Fords graciously took us food shopping after dinner as well so we could restock up on some water, milk and other essentials. While we expected to depart on Tuesday we found that our water heater had ‘bit the dust’ and so Ron decided to replace the element on Tuesday pushing off departure until Wednesday. Jim offered to be the ‘taxi’ around to West Marine and ACE (largest ACE we’d ever been in) in search of the correct heater element. Water heater fixed by 6 pm, dinner with the Fords again (at Irish Pub – “Culhane’s” – see an episode of Diners, Drive-in’s and Dive’s – Jim was one of the customers filmed BTW; and Ron had the really yummy ‘dingle fish pie’: scallops, shrimp, salmon, peas, garlic, parmesan in a white cream sauce if we recall correctly) and the new plan: we’d shove off on Wednesday. As plans sometimes happen, our return from dinner lead to a “stinky” discovery that our toilet system for the guest room was going to need some work, likely a new vac-uflush pump. Cleaned up a little mess and Jim kindly agreed to again be the chauffer on Wednesday as we searched for parts to repair the sanitation system. (For your enjoyment, we are not posting pictures.) We did find most of the parts, Ron made the repair (Michele assisted ‘the surgeon’) and – darn – the entire housing unit would need replacement! As Jim stated, at least the whole attempt provided ‘boat bonding’ moments/time. So, after canceling a dinner engagement with the Fords we ‘cleaned up’ and prepared to depart on Thursday using one toilet for a few days. This will allow time for a new pump and motor to be shipped into Jacksonville. We then went ahead with plans to explore the St John’s River. Cruised the waterway on Thursday for about 50 miles with a light chop, with some waves spraying water on the windows. Made anchorage late Thursday on the River in an anchorage called ‘Deep Creek’; had pot roast, salad, and potato salad for dinner and hit the hay early.